A selection of the best news reports, analysis and opinions published by ThePrint in 2018. 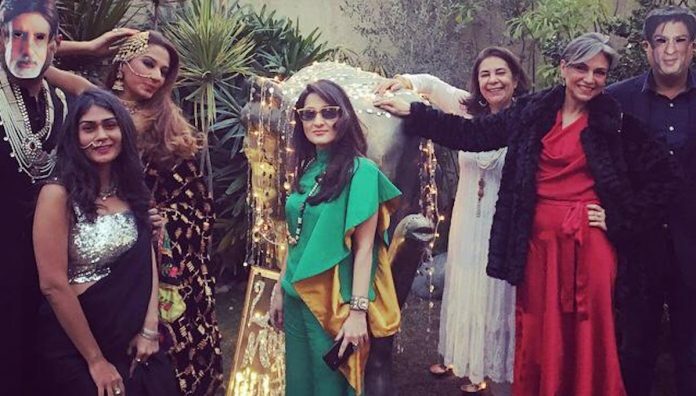 After making waves on social media in India with its decadent riches, the Isha Ambani and Anand Piramal wedding found an unusual echo in Pakistan’s Karachi with a weekend ‘theme party’, wrote Yusra Askari. Sudipto Sengupta wrote on the journey of braveheart Madhumala Chattopadhyay, then a researcher with the Anthropological Survey of India, who went on to spend six years studying the various primitive tribes of the Andaman and Nicobar Islands. In May, the Modi government considered a significant change in the existing rules to allocate the service as well as the cadre or state to those qualifying in the prestigious All India Civil Services Examination, reported Amrita Nayak Dutta. Being a topper helps for a while. But it also comes with added pressure to stay on top. In July, Kritika Sharma and Manisha Mondal took a look at the past CBSE toppers. After the US postponed the “2+2 dialogue” in June, Shekhar Gupta wrote about how Modi government’s missteps broke its foreign policy momentum. Due to a reported poor draft of the original advertisement and understatement of eligibility criteria, the UPSC had to invite fresh applications for lateral entry into IAS in December, reported Sanya Dhingra. In the run up to Karnataka elections in May, actor Prakash Raj said he was sidelined by Bollywood after his criticism of Prime Minister Narendra Modi’s “chilling silence” over journalist Gauri Lankesh, reported D.K. Singh. Even in a progressive Bollywood movie on female friendships, masturbation is seen as an activity to be ashamed of, and to hide from your lover, wrote Diksha Madhok. The Sanjay Dutt biopic isn’t just dishonest, but it’s a funnily dark, endoscopic peek into the entrails of Bollywood, and shows you exactly what’s rotten there, wrote Shekhar Gupta. Narendra Modi may be looking like a poor shadow of his 2014 self, but Congress president Rahul Gandhi is not even trying to defeat him, wrote Shivam Vij. Three years after an alleged incident of molestation on a Delhi road, Saravjeet Singh says he can’t clear his name of the ‘criminal’ tag because the woman, Jasleen Kaur, hasn’t attended a single hearing, reported Ananya Bhardwaj. Prominent Kashmiri politician Saifuddin Soz made a startling claim that Sardar Vallabhbhai Patel was happy to let Kashmir go to Pakistan in exchange for Hyderabad and it was Nehru’s insistence that kept it with India, the Congress leader told Shekhar Gupta. The Supreme Court judgment decriminalising homosexuality is said to have got the military brass worried over what it exactly means for Indian soldiers, reported Amrita Nayak Dutta. The romance between Pakistani Aroosa Alam and Punjab chief minister Captain Amarinder Singh is the state’s worst-kept secret, wrote Shobhaa De. Praveen Pardeshi, a 1985-batch IAS officer also known as ‘super’ bureaucrat, is Maharashtra Chief Minister Devendra Fadnavis’ right-hand man, reported Manasi Phadke. Economist Rupa Subramanya wrote about the shrinking space for independent voices such as hers, who refuse to take partisan sides. Streaming service Netflix, celebrated by lakhs of Indian viewers for giving them access to uncensored content, agreed to self-regulation in October, reported Sanya Dhingra. From a much-loved show, Amitabh Bachchan-hosted Kaun Banega Crorepati became an agenda-setting exercise, wrote Harnidh Kaur. Liberals can go ahead and pour scorn on Narendra Modi. It will only strengthen his base and reaffirm the myth of his victimhood, wrote Shekhar Gupta. After Major Leetul Gogoi’s altercation at a Srinagar hotel in May, Deeksha Bhardwaj reported that there are clear rules that govern the conduct of military officers.